When your child experiences a medical emergency, it can be frightening for you and your child alike. 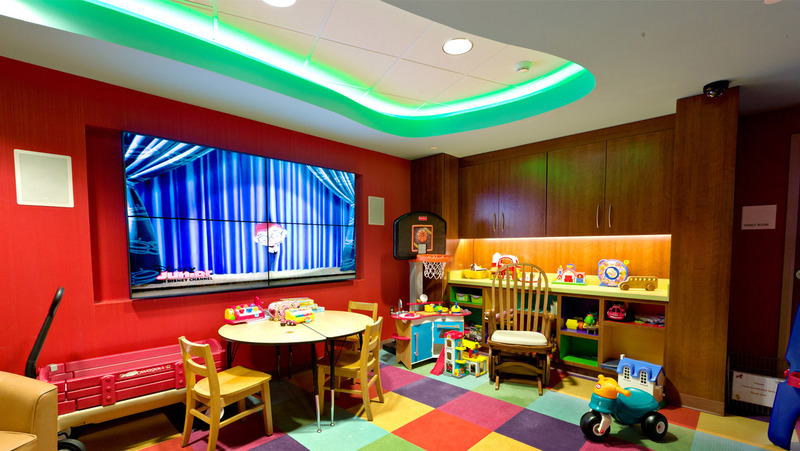 That's why Shore Medical Center established its state-of-the-art Pediatric Care Center. Your child will be seen by pediatric specialists in a separate emergency treatment area, specially designed to make the hospital experience less scary. Shore’s groundbreaking Pediatric Care Center was designed to ensure your child receives the best care possible in a setting specially designed for kids. Shore Medical Center's pediatric care team is made up of professionals who are dedicated to caring for the unique needs of children. Parents are an essential part of our care team as well. We work with you so you can stay informed of care choices, participate in your child's plan of care and assist your child in feeling safe throughout their hospital stay. Our nursing staff will keep you informed and include you in the decision making process. They will assess, plan, implement and evaluate all aspects of your child's care. This collaborative approach to care encourages families to follow the designated plan of care and to become educated in the all aspects of their child's condition. Our goal is to provide high quality care in a safe and caring environment while working with you to identify and meet your family's personal and spiritual needs. We encourage your family to spend as much time as possible at your child's bedside. 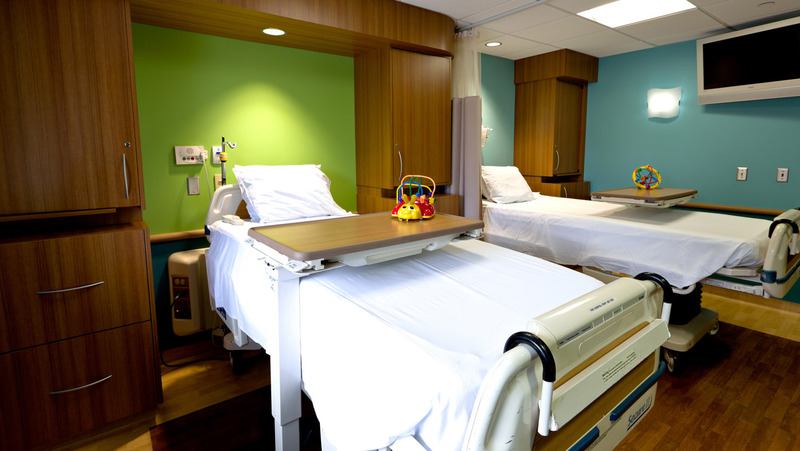 Our rooms provide comfort and privacy your child's stay in our Pediatric Care Center. Each room offers TV, DVD, private bathrooms and sleeping accommodations for parents. You can rest assured that your child is in good clinical hands. All children at Shore are seen by board certified emergency physicians and specially trained emergency nurses, who will work in consultation with physicians from Onsite Neonatal Partners. Ronald McDonald House (RMH) were developed in response to RMH of Southern New Jersey's commitment to expand services to families of seriously ill and injured children. The Shore Medical Center's RMH is located within the Pediatric Care Center and is available for use by any family member of a child admitted to the pediatric department. Our RMH offers respite for you, while only being a few doors away from your child's bedside. There is a seating area, kitchenette stocked with snacks and drinks, Internet access and a play area for siblings. The Ronald McDonald House of Southern New Jersey provides all the complementary snacks and beverages.